Description and Similar Species: Wingspan 38-48mm. Sexes similar. 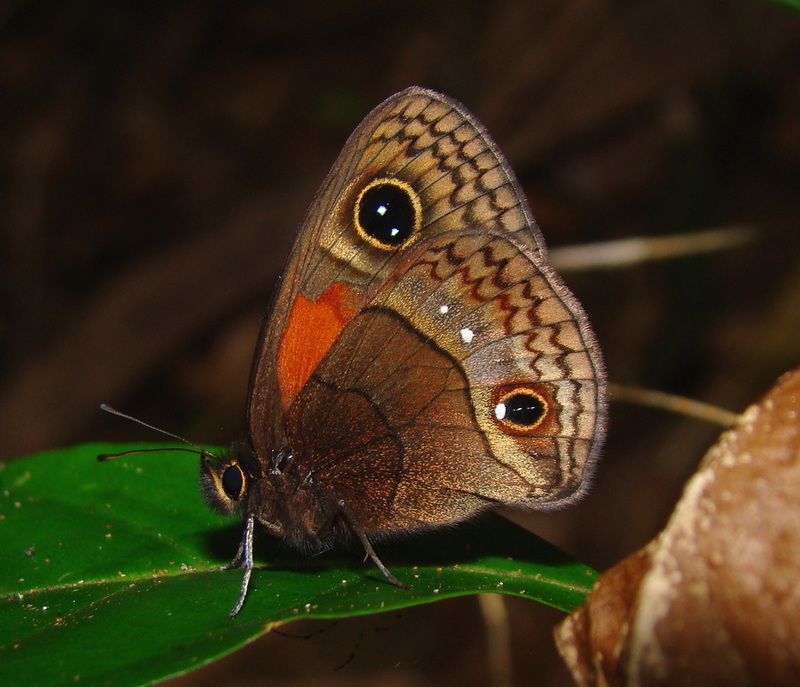 It differs from Cuban Calisto C. herophile in having just three post-median white spots on the underside hindwing (C. herophile has four). The central one of these spots is larger. 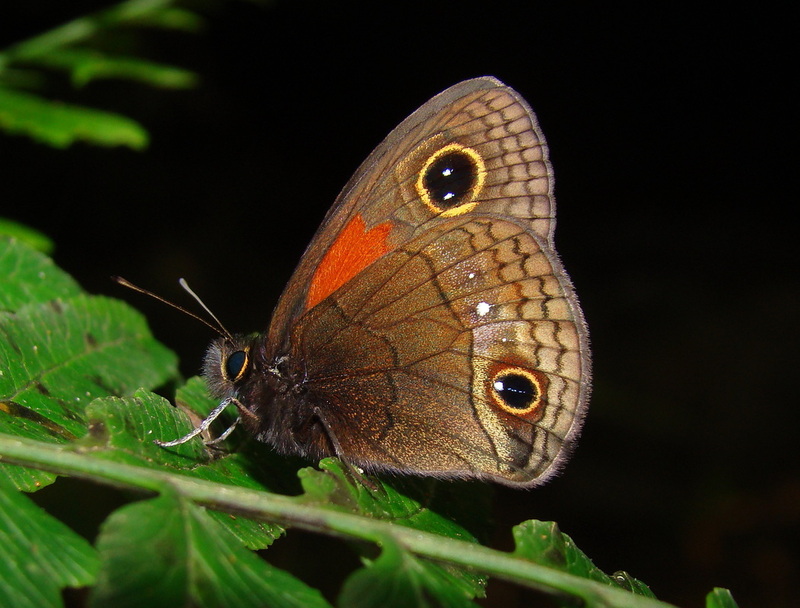 It is very similar to C. torrei which also has three post-median white spots and flies in the same area but on C. muripetens the base of the hindwing is significantly darker and the red patch on the forewing is much larger than both its congeners in this mountain range. Status: Known only from the western Escambray mountains (Guamuhaya massif) where it flies between 750 and 1140m on Pico San Juan. 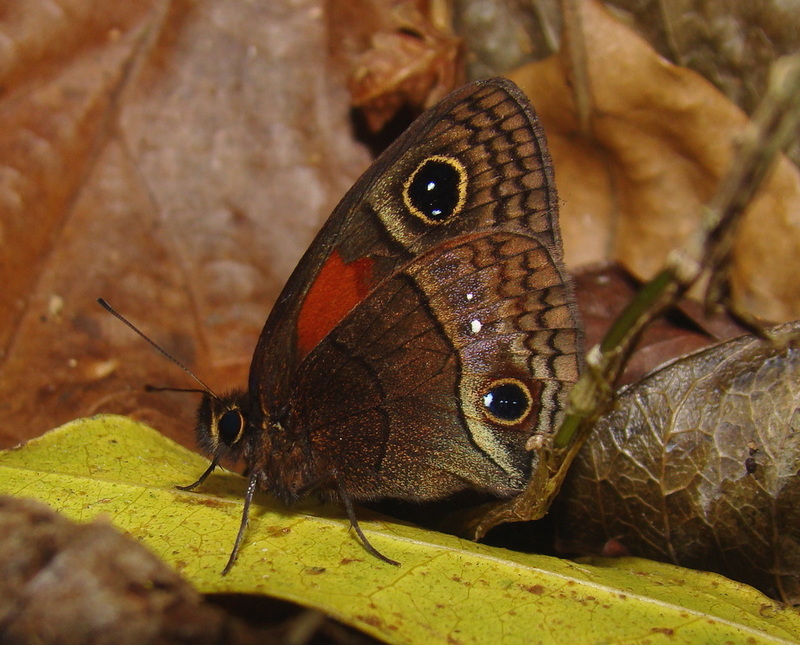 It flies mostly in shady places generally at a higher altitude than Cuban Calisto C. herophile which is the only other Calisto found here.